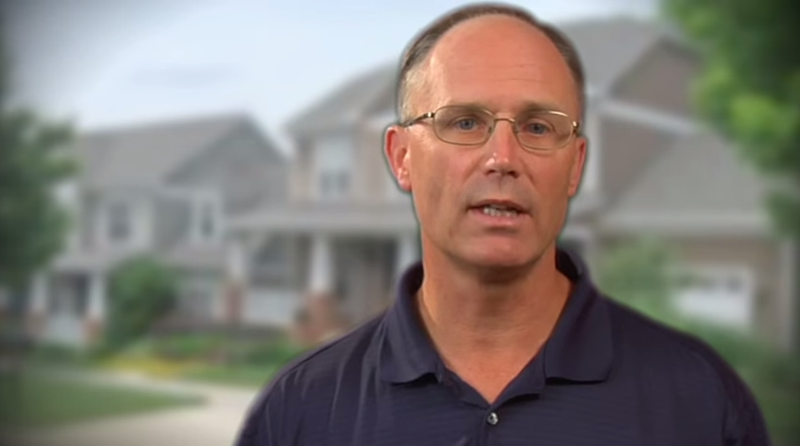 Bel Air Construction was founded in 1981 by owner Michael Watts with the vision of building a professional home remodeling company. Michael and his team accomplished this vision by focusing on superior craftsmanship and outstanding client experience. 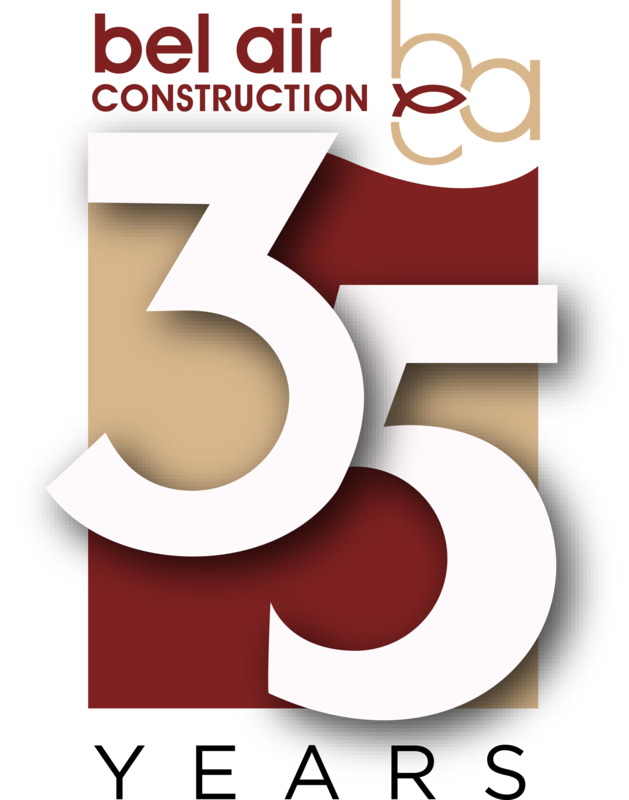 Along the way, Bel Air Construction’s commitment to quality has earned the team numerous industry awards including the most prestigious Remodeling’s Big 50 and Qualified Remodeler’s Top 500 among many other awards. 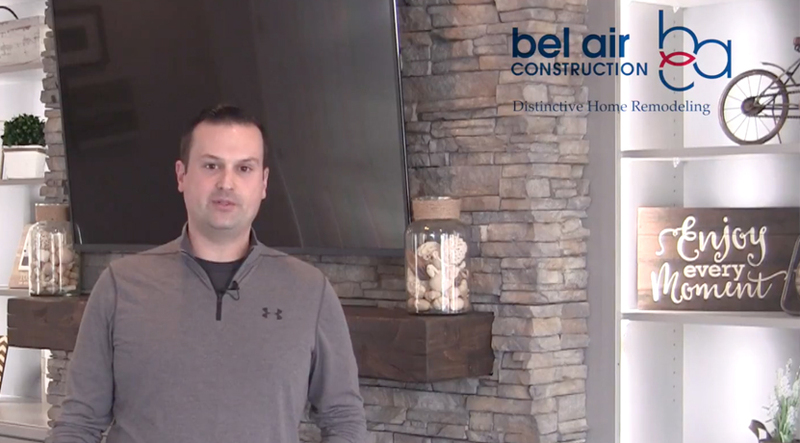 Commitment to Excellence: Every team member at Bel Air Construction is committed to excellence in the remodeling field. Our process begins with the first consultation where we meet with home owners to complete a thorough needs analysis. During this meeting, our goal is to uncover more about each remodeling project and how the client envisions the remodeled space, room addition, or exterior remodel. After the needs analysis, we create a remodeling plan focused on creating a room or addition which meets or exceeds our client’s expectations – a plan that will make their dream a reality. Superior Craftsmanship: For every home remodeling project from the kitchen remodel, bathroom remodel, sunroom, deck addition, roof and more, we use the best building materials available. Additionally, each member of our well-trained staff attends ongoing training for his/her trade to ensure that the best in construction practices are used on each project. 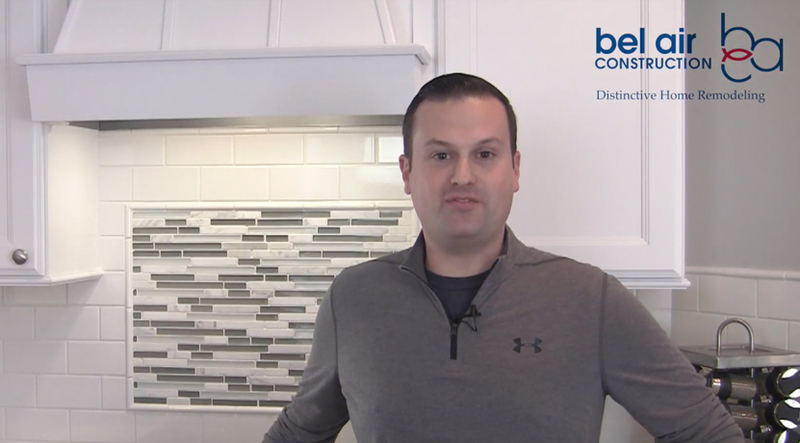 Certified Graduate Remodelers: Michael Watts, owner of Bel Air Construction, was one of the first 10 Certified Graduate Remodelers (CGR) in the state of Maryland. The CGR program requires high standards of business practice and a proven track record of successfully completing projects. Even though, Bel Air Construction has continued to improve and serve more people every year, our core values have remained the same. Your home deserves the best so place your project in hands you can trust. 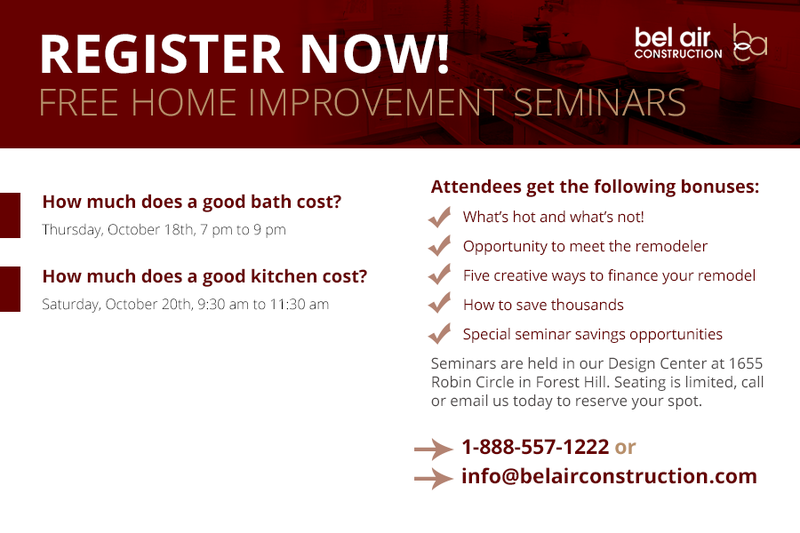 Call us today for your FREE in-home consultation.